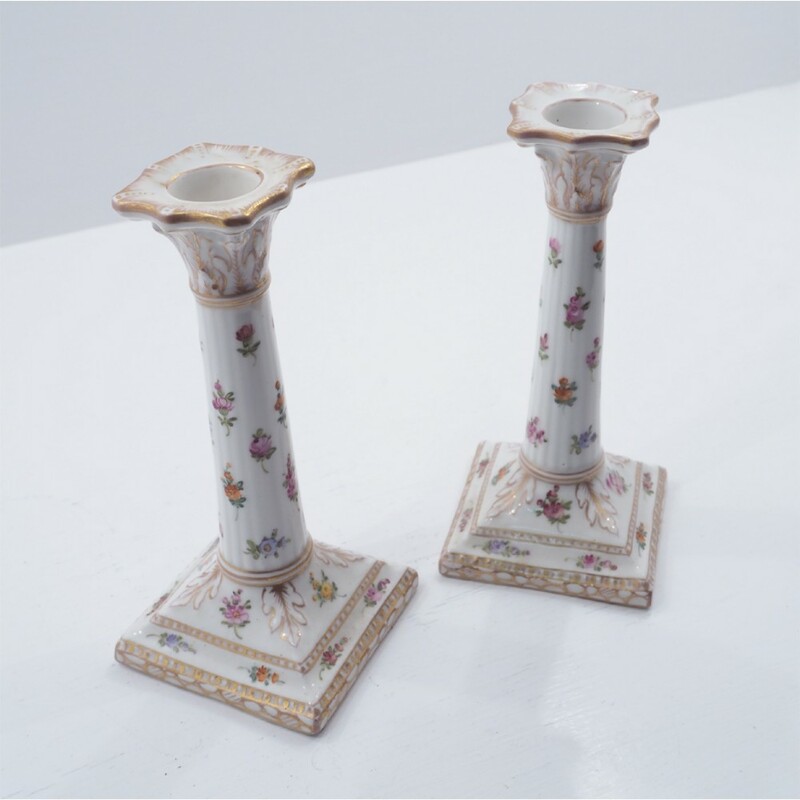 Reasonably good pair of late 19th / early 20th century Dresden porcelain candlesticks. 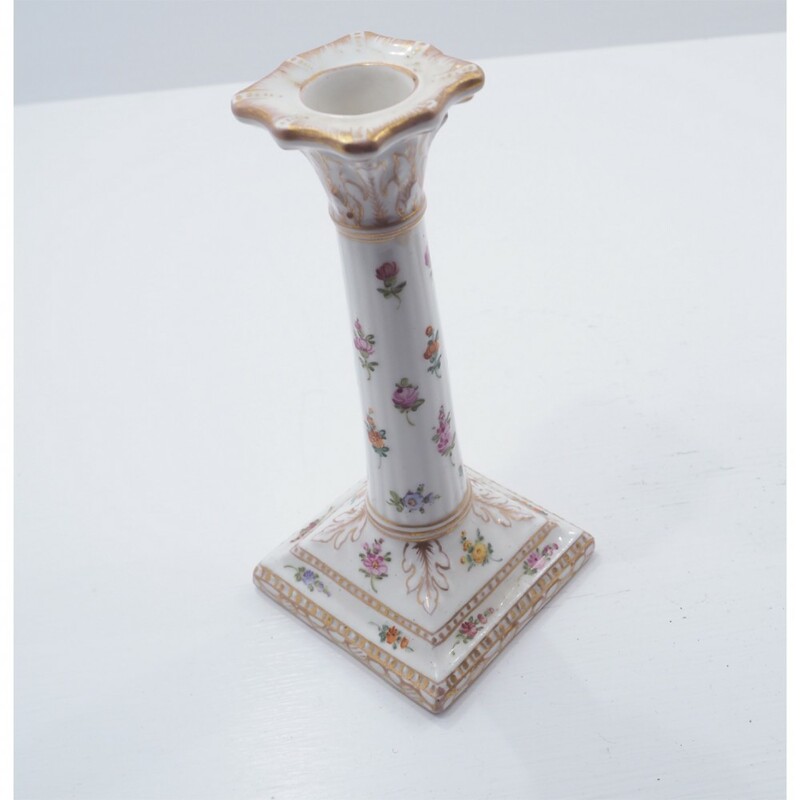 The candlesticks are decorated with flowers and a gilded type decoration all over. 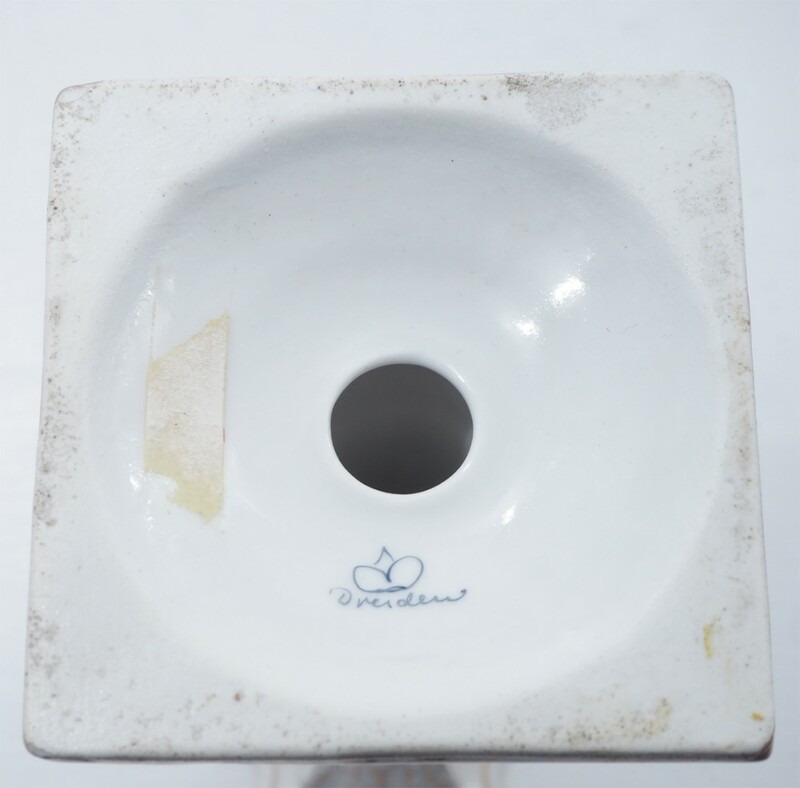 The candlesticks are not rubbed at all but there is a small chip to the underside of the base on one of them. 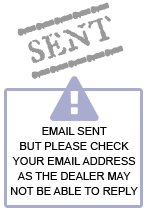 The chip can not be seen when they are standing up. 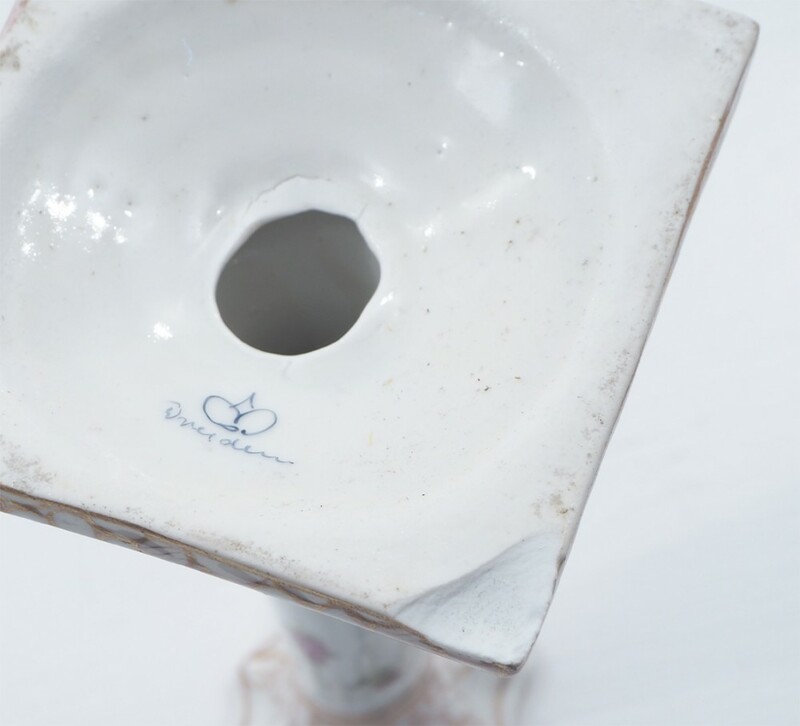 SIZE; 3" square bases, 7" high. 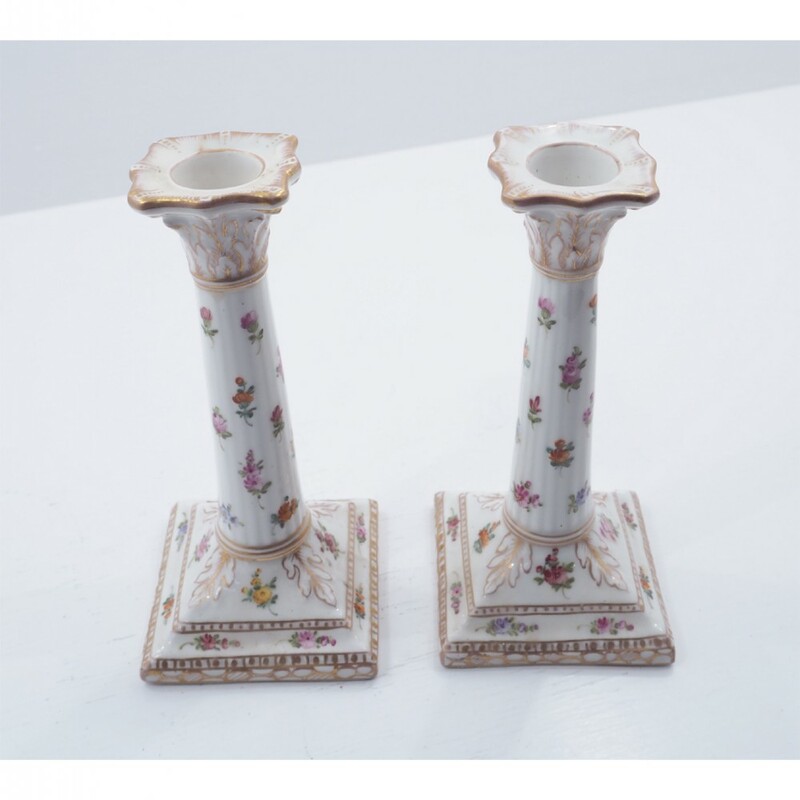 The PAIR OF DRESDEN PORCELAIN CANDLESTICKS has been added to your saved items.